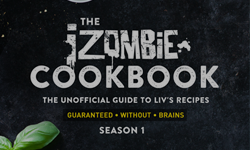 iZombie: Rose McIver — Fansite dedicated to kiwi actress Rose McIver – iZombie: Rose McIver — Unofficial Fansite dedicated to kiwi actress Rose McIver. Create by fans, for fans. Here is the press release of ‘iZombie‘ first episode of the finale season named ‘Thug Death’ who will air on May 2. I also added +4 high quality episode stills for this episode. 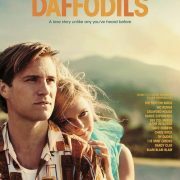 ..
‘Daffodils‘ soundtrack has landed on digital platforms mid-March and the lead single ‘Anchor Me‘ has ..
Rose has been featured in ‘Woman’s Day Magazine NZ‘ from April 1, 2019 Issue. 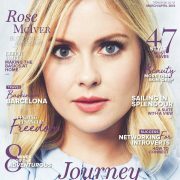 MAGAZINE SCANS : 2019 > APRIL 1 – ..
With the upcoming release of her new movie ‘Daffodils‘ from March 21 in New Zealand, Rose McIver has been interviewed ..
A week out from ‘Daffodils‘ big release, the New Zealand film’s highly anticipated soundtrack has arrived .. I share with you today exclusively the scans of the magazine ‘Time Out‘ published on March 16, 2019 in New Zealand ..
Rose has been featured in ‘Otago Daily Times‘ from March 9, 2019 Issue. Magazine Scans : 2019 > MARCH 9 – .. Source | Rose McIver will be back to Aldovia this year! 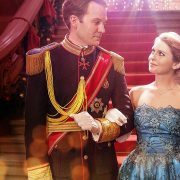 ET has learned that ‘A Christmas Prince 3‘ will make ..
Rose has been featured in ‘M2woman‘ March/April 2019 issue. Magazine Scans : 2019 > MARCH/APRIL – .. I share with you today exclusively the scans of the magazine ‘Fashion Quarterly‘ published yesterday (Ferbuary ..